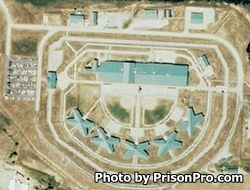 South Central Correctional Center is located in Licking Missouri. It is a mixed custody prison that houses minimum, medium, and maximum security offenders. This facility can house upwards of 1,660 male inmates. Offenders can participate in the Alcoholics Victorious program, the Restorative Justice program, and various biblical studies and religious worship services. South Central Correctional Center is part of the Missouri Vocational Enterprise program which allows inmates to work for a small wage in a furniture factory. GED and Adult Basic Education programs are available to all inmates who do not have a high school diploma. Offenders are also encouraged to take vocational classes and learn a new employment trade while serving their sentence. Before you can visit you must have an approved visiting application on file for the inmate you wish to see. Visitation is on Fridays, Saturdays, and Sundays from 9:30am-1:30pm and at 2:30pm-6:30pm.